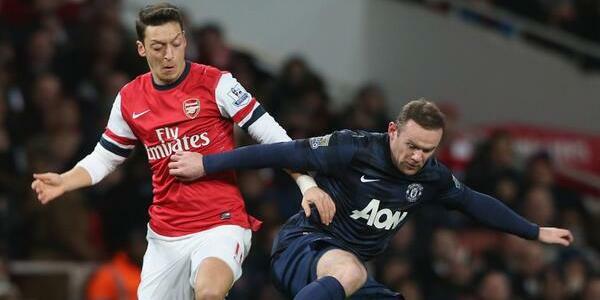 Blog Teams Arsenal Mesut Ozil or Santi Cazorla: Which Arsenal attacker is more important? Mesut Ozil or Santi Cazorla: Which Arsenal attacker is more important? Arsenal’s 0-0 draw with Manchester United did little to further either side’s aspirations this season, with both giants severely lacking in consistent attacking invention. The Gunners’ were hoping from a moment of magic from either Santi Cazorla or Mesut Ozil to win them the game and take them back up to the top of the Premier League, but it never quite came. Record signing Ozil showed flashes, while his teammate Cazorla came alive in the final 20 minutes with a flurry of shots. But who is the most important to the Gunners at present? 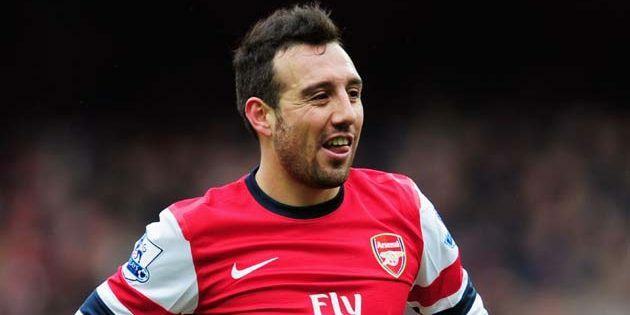 Signed in the summer of 2012 for around £15m, Cazorla quickly became Arsenal’s premier attacking midfield outlet. His 12 goals and 13 assists last year helped the Gunners close the enormous gap between them and Tottenham in fourth, bringing yet another season of top European competition to Arsenal. The Spaniard endured a slow start to the current season, but has come alive in recent weeks, and is starting show that he is still the attacker in chief for the Gunners. 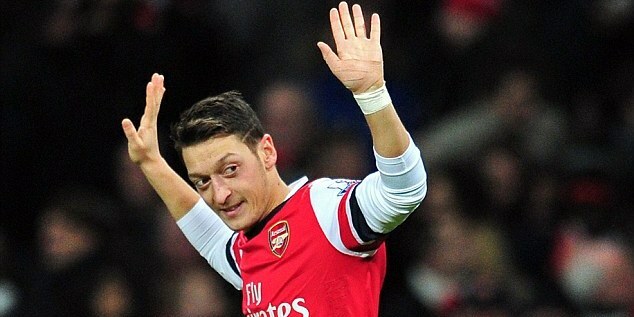 The arrival of Mesut Ozil has altered his role in the team, and he has become much more direct with his attacking play. He is looking to get at opponents and shoot more, and could have won the match yesterday were it not for some inspired goalkeeping by David de Gea. The £42m signing has come in for some stinging criticism in recent weeks, with Gunners fans unhappy with his apparent lack of interest in difficult situations. But he remains one of the world’s premier midfield operators, and his languid style has earned him yearly praise from managers and players. By comparison with Cazorla, Ozil started the season brightly, grabbing four goals and eight assists before the end of the year. But he has faded since, with the ‘assist-king’ only providing one set-up since Christmas. Against United yesterday, he created almost half of Arsenal chances in the match, but had one solitary shot on goal. Soccerlens Verdict: The pair are decidedly different in attacking makeup, and have had differing fortunes this season. They have not been on the boil together, with Ozil’s recent dip in form subsidised by Cazorla’s revitalisation. Ozil was at the forefront of most of his side’s attacking play against United but, as per the German in recent weeks, he failed to provide the killer pass. He is not expected to score, but his alarming lack of end product at present is of real concern to the Gunners. Cazorla is arguably the man of the moment for Arsenal, but not even he could break open the stubborn United defence yesterday. He is however the Gunners’ most direct attacking option in the absence of Theo Walcott, and it is imperative that he keeps up this momentum. Interestingly, with Cazorla firing on all cylinders, it was Ozil that set him up for three of his chances yesterday, with the German constantly looking for the Spaniard in the final third. On present form, you must say that Santi Cazorla is more important to the Arsenal cause, but such is Mesut Ozil’s enduring class, this dry patch may just be a bedding-in period for the German. Who is more important for the Gunners? Millions of reasons why Manchester United fans should stay calm – or should they? Caz is useless against top teams. They target his lack of size, mobility and defensive qualities. It is unlikely that we will win any games agaist the top teams when he and Art play together. AW has little alternative but to play them at present. Neither of them can play pass and move which destroys the chance of midfield dominance- Arsenal’s trademark. Playing in midfield with these two will run Jack and other players into an early grave! You’ve clearly been watching our games with your eyes in your pocket. Don’t ever try to group the two in the same field. Carzola is a mastermind.